Request a demo of Petrosoftinc products. Fill out this form to request a demo, pricing or more information. Petrosoft offers a platform as well as software, hardware, and services. The company’s integration options, technology, and services are designed to take advantage of advances in technology, leverage legacy systems, leverage industry partnerships, address the changes in consumer demand, and enable seamless connections within today’s retail ecosystem. The company’s technology is positioned to deliver a measurable return (ROI) to retailers since it is focused on where sales and profits are realized, within day-to-day operations. Discover the integration options, POS, foodservice, back-office, fuel management, and partnership solutions from Petrosoft. 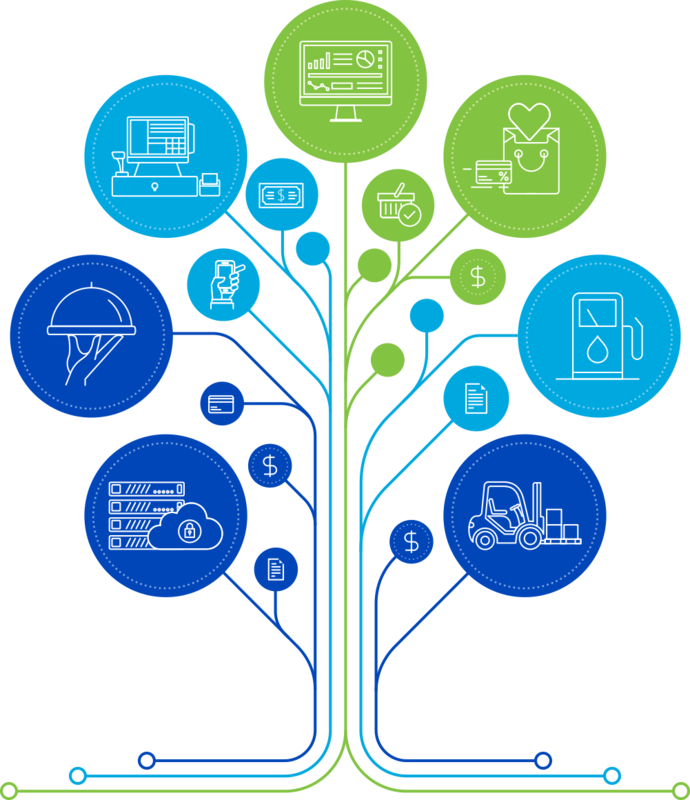 Petrosoft helps to streamline store operations with its SmartPOS solution and integration with POS and forecourt controller partners such as Verifone, NCR, Wayne, Bulloch, and Gilbarco. The solution also integrates with back-office and foodservice ordering kiosk systems. Loss Prevention Analytics is revolutionizing the way retailers manage their operations by providing a clear view of a retailer’s operations and verifiable proof of errors and theft. The solution enhances both POS and loss prevention technology. With this solution, retailers gain access to accurate and timely information that has been historically difficult or impossible to obtain. Meeting the consumers’ growing demand for convenient and freshly prepared food delivered flawlessly can be a challenge in an industry with high employee turnover. Petrosoft’s foodservice technology, Qwickserve, helps to deliver an optimal foodservice experience at every stage of the ordering process for both the consumer and retailer. C-Store Office is a cloud-based back-office system designed for convenience stores with gas stations. It increases operational efficiencies and speed data entry, reconciliation, and forecasting to optimize merchandise, food, and fuel sales, as well as margins, inventory turns, shrink, and spoilage. Discover how C-Store Office can improve a retailer’s bottom line…. Petrosoft Enterprise powered by SAP Business One provides a true enterprise resource planning (ERP) and business intelligence (BI) solution to the small to midsize segment of the global petroleum and retail marketplace. This powerful partnership integrates the Petrosoft Cloud and its end-to-end ecosystem of software and hardware systems with the unparalleled excellence of SAP ERP solutions. With tight margins, volatile markets, and changing customer demands, retailers and wholesalers can’t rely on intuition alone to drive growth and adapt to change. They need data-guided insights. By looking across datasets, you can optimize product mix and inventory by season, market or segment in a few clicks.